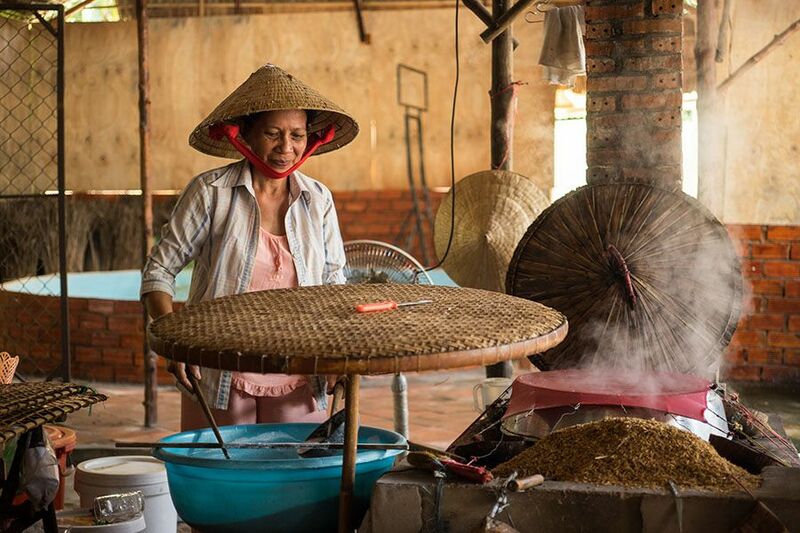 Our Mekong Delta 2 days tour take you to discover deeper into the palm jungle of the Mekong to see more of the traditional rural life of this fascinating area. Visit local farms and houses to learn how people live along the river. In the morning, have a nutritious breakfast and set on another day of exploring. 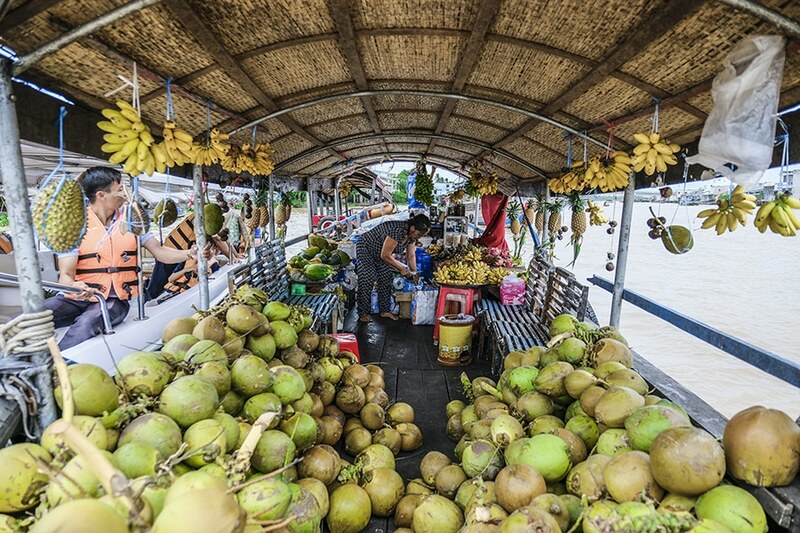 Visit Cai Be floating market to see how locals run their trading business on the river; take a rowboat trip along small canals of the Delta surrounded by thousands of coconut palms. 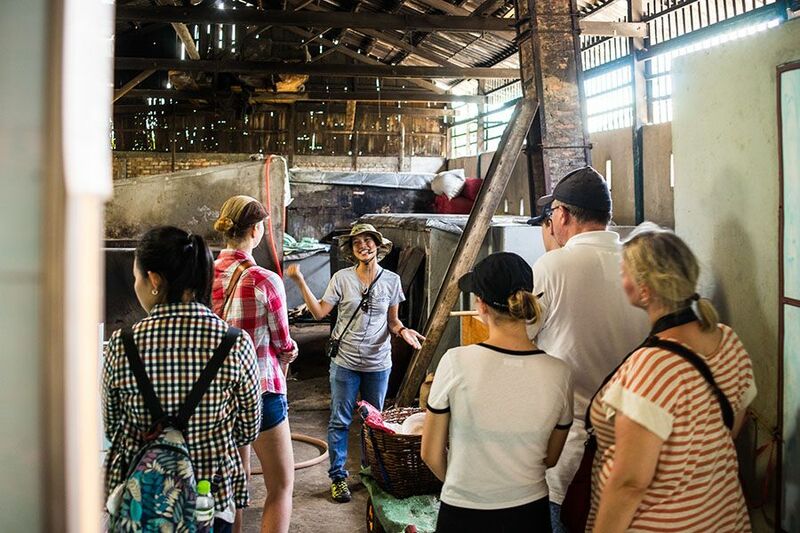 After a traditional lunch at the floating restaurant, visit a brick atelier and various workshops to learn how Vietnamese still use old family technologies to make so many things with their hands. 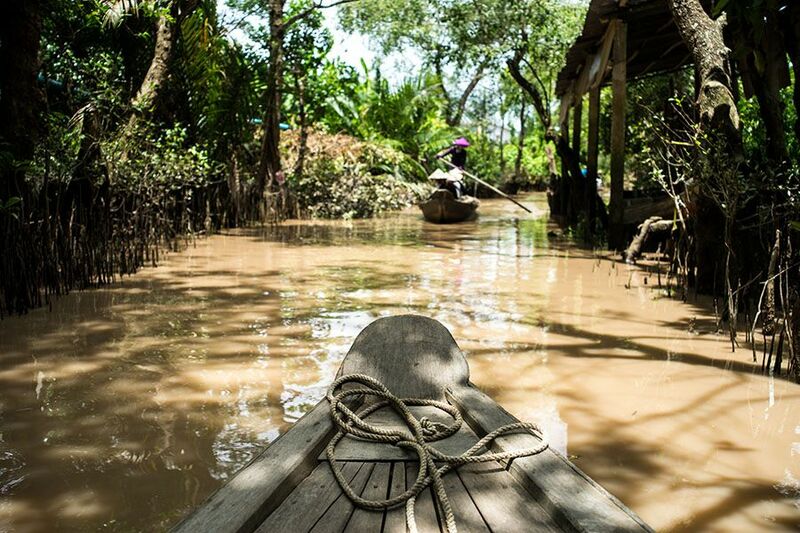 Take an exciting trip by “xe loi”, a traditional transport popular in small villages. 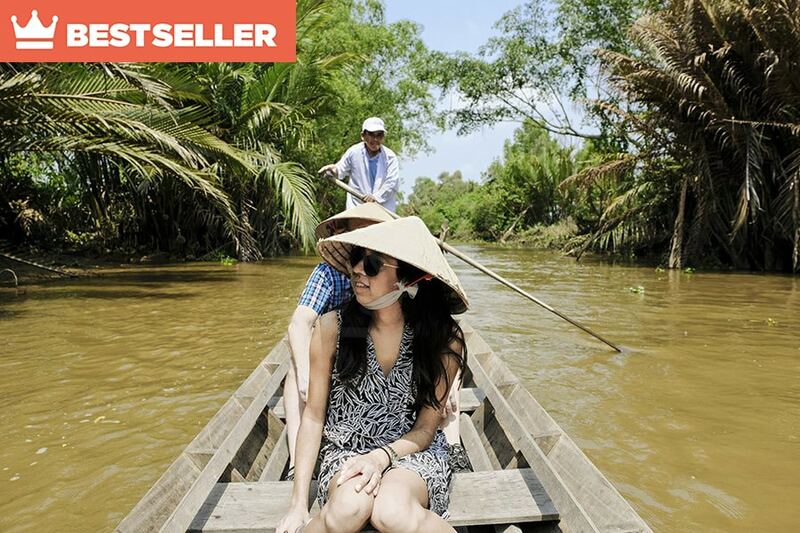 Enjoy an adventurous speedboat trip back to Saigon. After arriving at the city pier Les Rives van will bring you to your hotel. 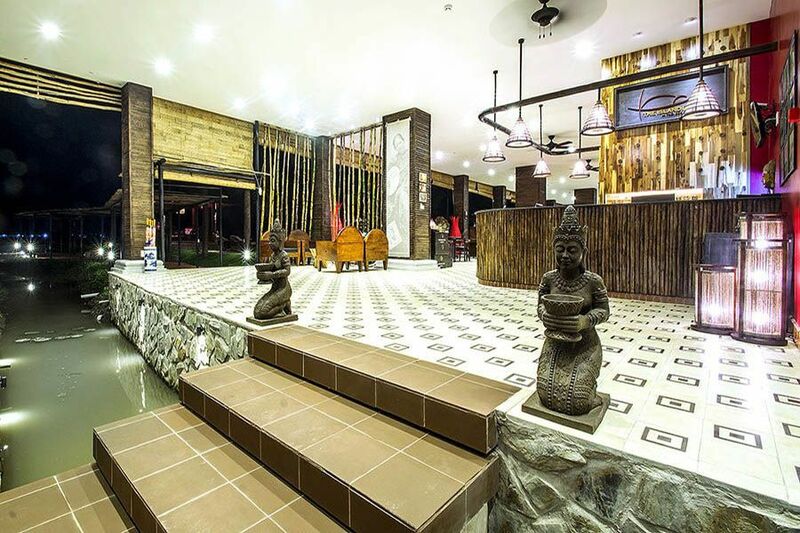 Includes: Breakfasts, lunches, dinner, overnight stay at The Island Lodge or Mekong Riverside boutique hotel, unlimited refreshments and local fruit, English-speaking guide, all entrance fees, pickup and drop off at centrally located hotels. 8:00 am: Your guide will meet you at the lobby of your hotel and bring you by car to your boat at Ho Chi Minh City pier. 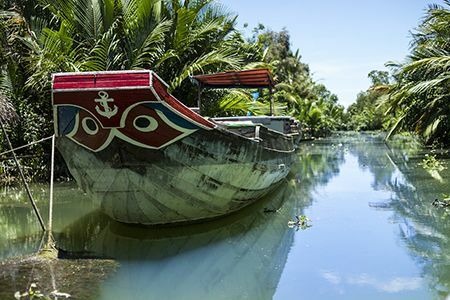 8:15 am: The boat departs and you slip away from downtown Saigon via narrow canals and enter the verdant green tributaries of the Mekong Delta. A light breakfast is served on board. 9:00 am: Visit Can Giuoc riverside market full of local curiosities, tropical fruits and all manner of fish and shellfish. Great photo opportunities! 10:00 am: Enjoy a brief stop at the Pagoda, while your guide explains the importance of Buddhism to many people of the Delta. 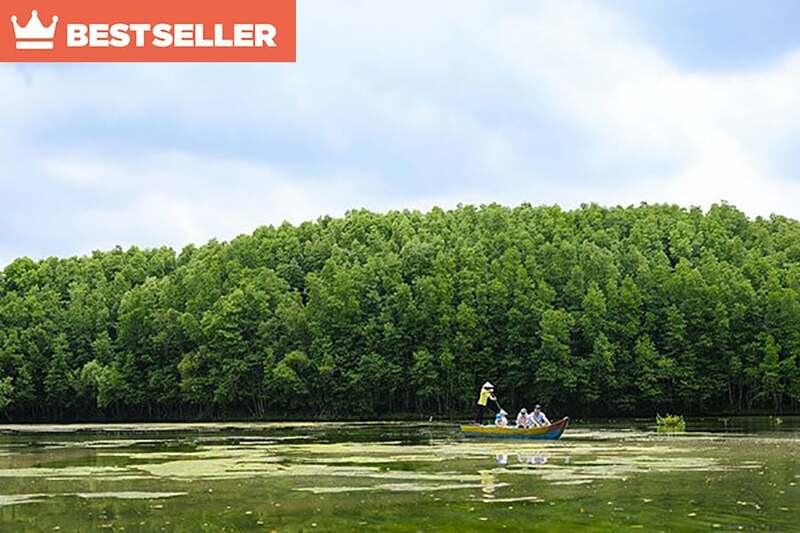 10:30 am: Reach the idyllic watery expanses of the Delta itself, known as the Delta of Nine Dragons for the 9 tributaries that splinter from the main Mekong River. 12:00 pm: Visit a brick atelier to see how locals still use traditional technologies to make bricks. 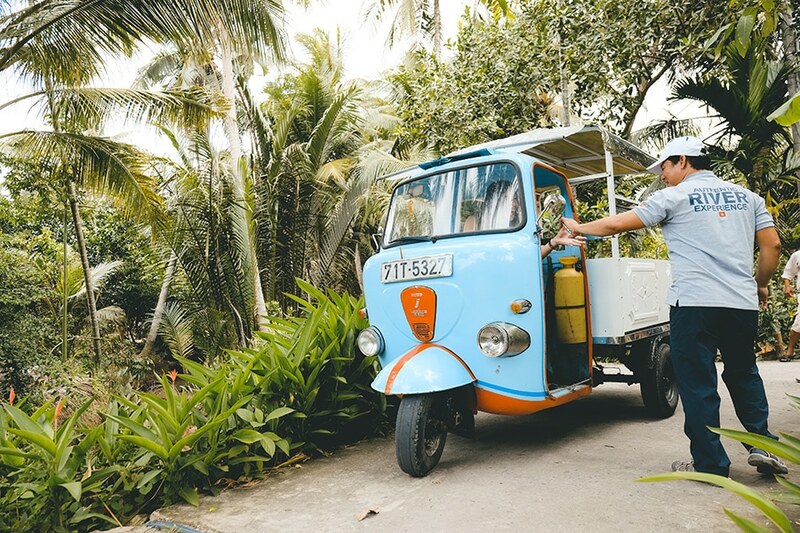 12:30 pm: Take a ride on a vintage Lambro 550 car, also called “Xe lam” by local people, a traditional transport used in the villages of the Mekong Delta. 1:00 pm: Have a delicious lunch at a local riverside restaurant. 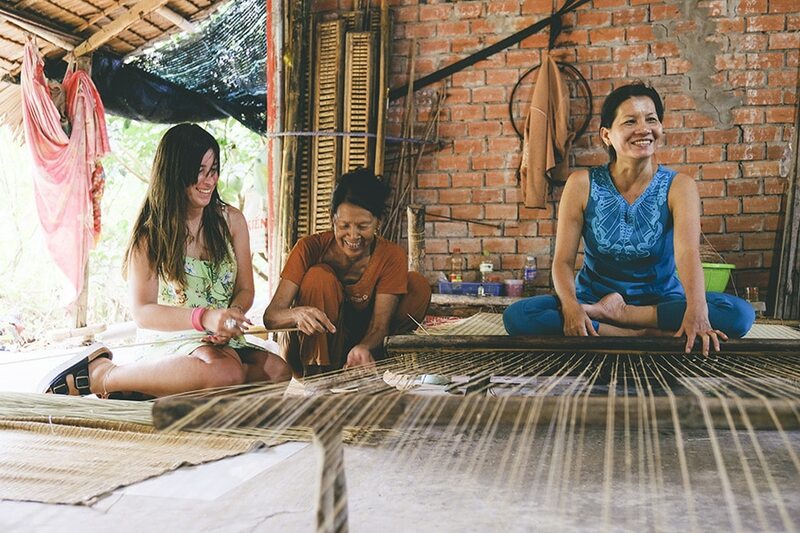 2:00 pm: Continue your “xe lam” ride and visit a weaving workshop. 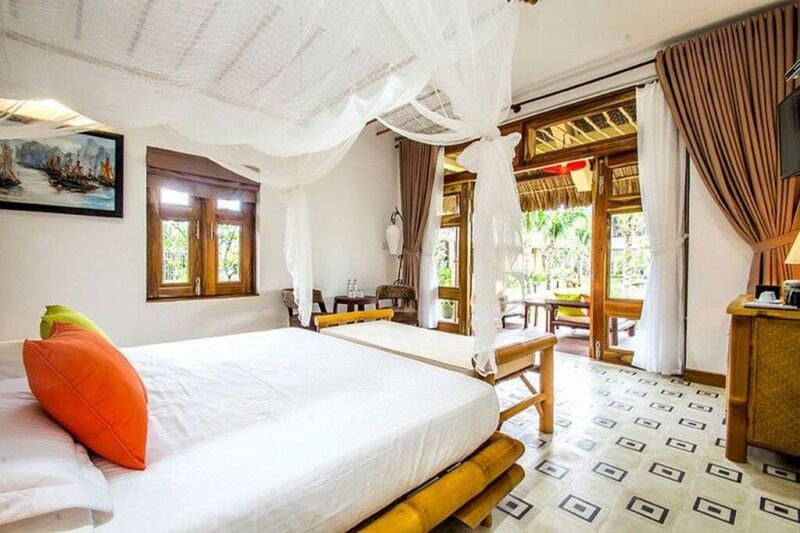 3:00 pm: Arrive to the boutique hotel The Island Lodge. 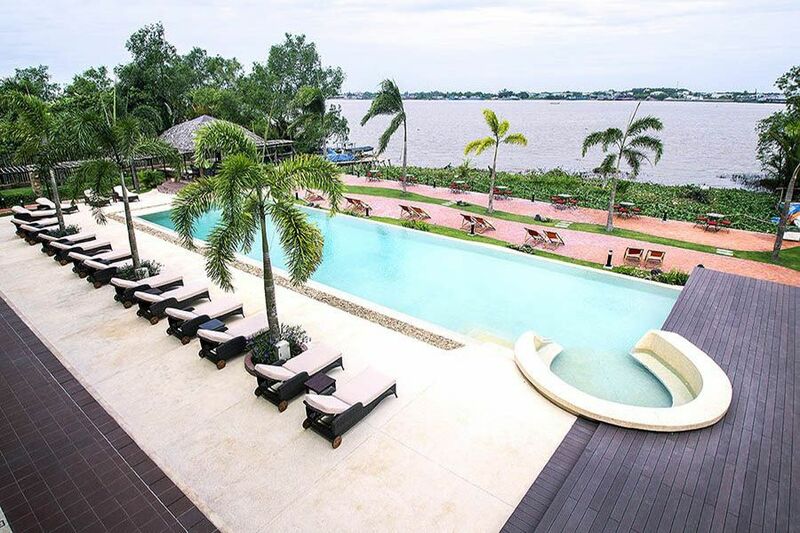 Relax by the river, chill at the pool or take a bike ride on the peaceful alleys of the Unicorn Island full of shady fruit trees. 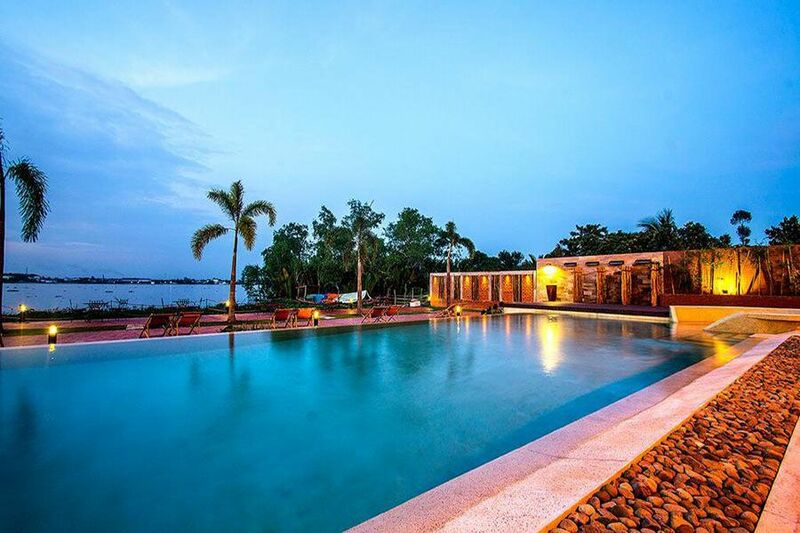 If the Island Lodge hotel is fully booked, we offer the guests to stay at the same-range Mekong Riverside boutique hotel. 9:00 am: Have breakfast at the hotel and depart the hotel to continue exploring the Delta. 9:45 am: Visit Cai Be floating market to see how locals run their trading business on the river. 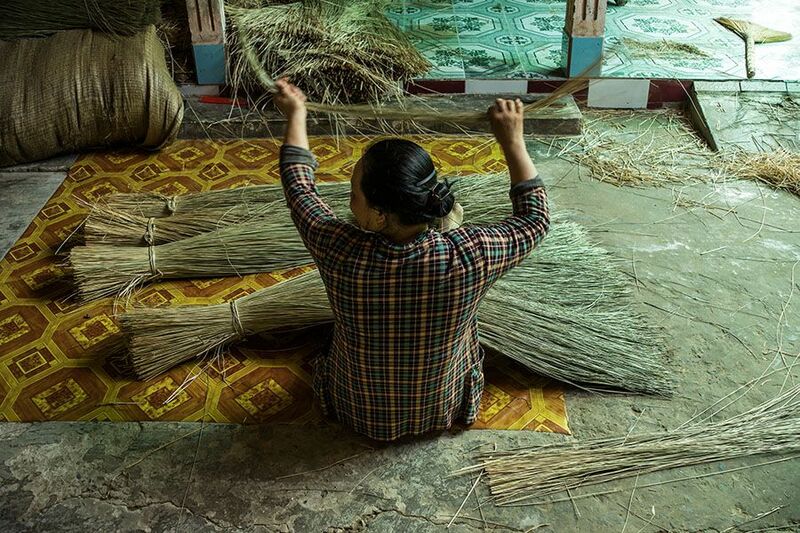 Walk along the river bank to reach a local workshops and learn about the daily life of people in the Mekong. 11:15 am: Enjoy a rowboat trip along small canals of the Delta surrounded by thousands of coconut palms. 1:00 pm: Stop at a riverside restaurant to have a delicious Vietnamese lunch. 2:30 pm: Return to the speedboat and depart for Ho Chi Minh City. 4:30 pm: Arrive back in Saigon. Les Rives’ staff will return you to your hotel by car. As part of the tour, you will visit a bustling riverside market overflowing with Delta produce, which you can sample. There will be lots interesting and colorful photos opportunities! Your Les Rives chef serves you a traditional Vietnamese lunch includes fresh spring rolls, caramelized pork, chicken with ginger, and the Mekong Delta delicacy, Elephant Ear fish. 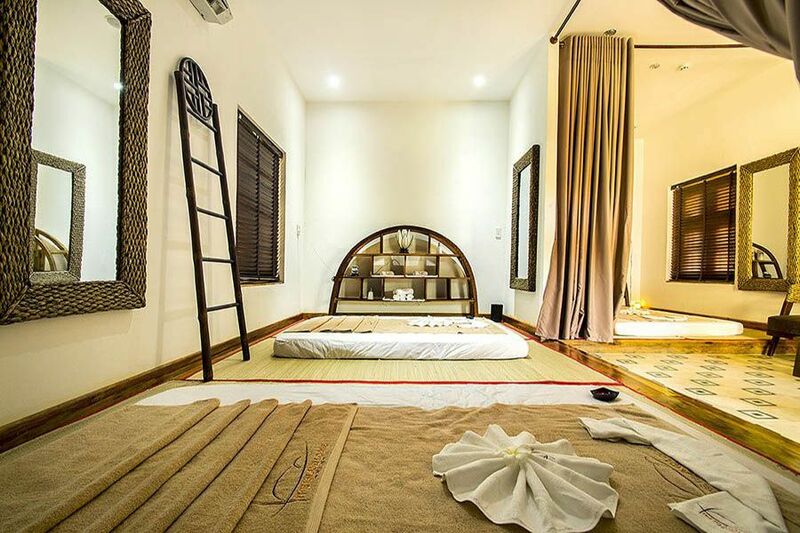 Other Options For Mekong Delta Tour You May Like!